As a military family with several Blue Stars, my mission has been to help make accessible non-drug, non-surgery options (acupuncture, massage, chiropractic, etc) for health and wellness to servicemembers, veterans, and their families. Having acupuncture (which is part of East Asian Medicine) and other non-drug, non-surgery options available in medicine centers and hospital facilities to complement conventional care will help shorten inpatient stay length, decrease pain, improve function, and decrease overall health care costs. 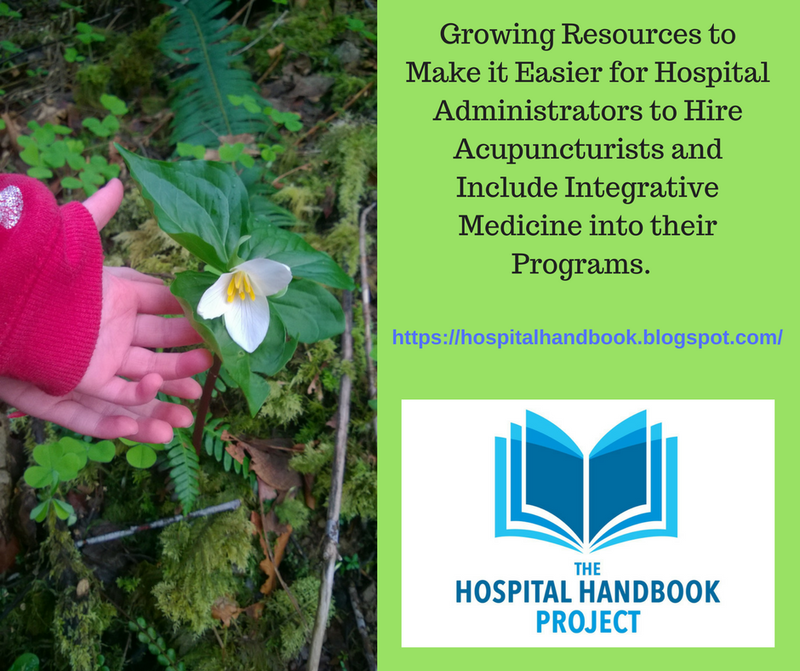 Most recently this has been in building a set of resources, called The Hospital Practice Handbook Project, to make it easier for facilities and their hospital administrators to hire acupuncturists into their systems and thus have Integrative Medicine (IM) professionals on staff. Why? Because, I found that one of the major barriers to getting access to IM is getting IM professionals hired into the system. People have best access to care when it is delivered in places they are already going, whether it is a mobile wellness clinic at the community center or the VFW or the local medical facility. In particular, servicemembers and their families have best access and greatest potential for team care coordination when it is available in their facility (MTF). The next-best is having it covered by TriCare out-in-town by trained and qualified providers. The Hospital Practice Handbook Project resource is for all hospital-based practice IM practitioners, whether you work in a civilian, DoD, or VA facility. 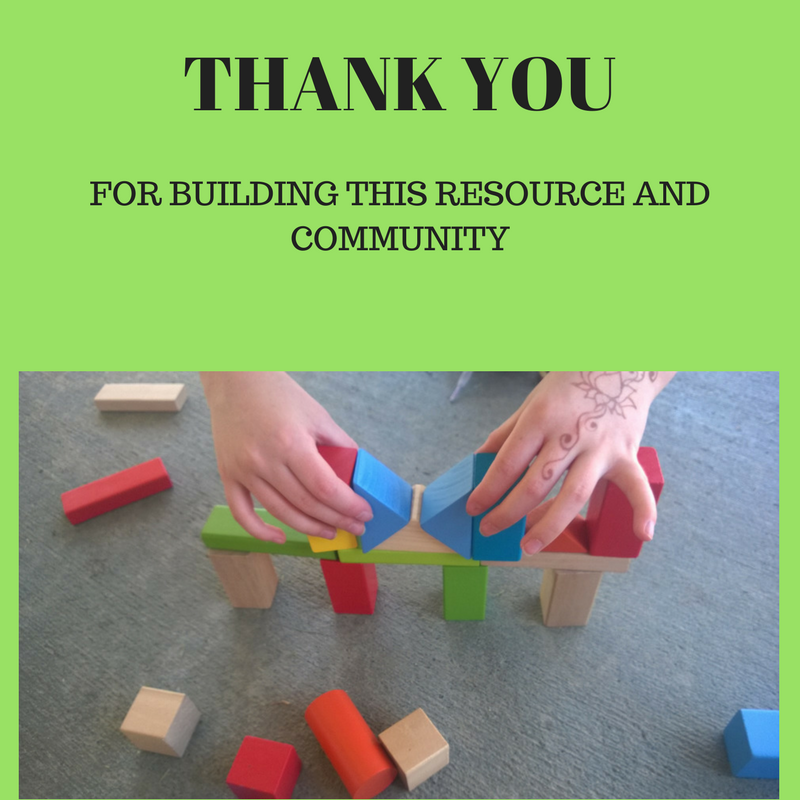 These resources are general and collaborative. They are not facility-specific. They are profession-specific; specific to Integrative Medicine professionals, with emphasis on East Asian Medicine professionals. 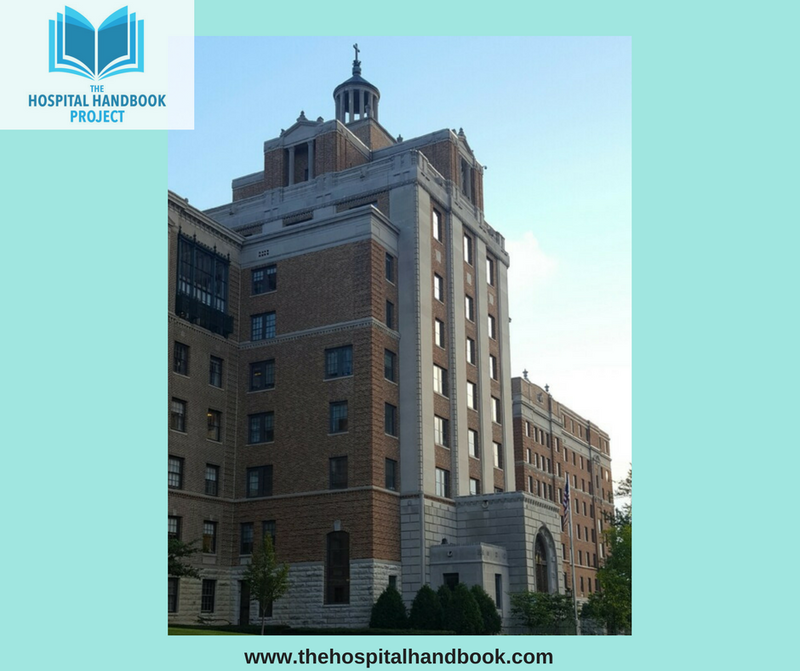 Contribute to the work of building this stepping-stone resource over the barriers into health care facilities at the Hospital Practice Handbook Project website. This work supports the movement of integrative medicine as part of our modern health care system. *Blue Stars—each blue star represents one family member serving in the military. A blue star banner or flag can have up to 5 stars. If a servicemember dies, a smaller gold star is placed on top of the blue star. Blue Star Mothers and the Sew Much Comfort program to create adaptive clothing for injured servicemembers. The NMCRS Visiting Nurse program You can donate to this program on thiswebpage. The American Red Cross’s work with military families and emergency messages. The MOAA Military Family Initiative, which advocates for military families. Also a strong advocate for military families who have children with special needs (EFMP). A reminder of the history behind the VFW’s buddy poppy program. Wondering where I come up ideas for the Lunchtime Listens? Well, they come from a variety of sources that I read or listen to, or newsletters I subscribe to. For a list of the Lunchtime Listen recommendations to date: go to the Lunchtime Listen page. Duke University's Integrative Medicine Leadership Program--they have put out some good webinars on topics that get more in-depth coverage in their curriculum. Several of these webinars have made it to our Lunchtime Listen list. Healthy Seminars, founded by Lorne Brown for CEU/PDA courses in the field of functional medicine, integrative medicine, and East Asian Medicine (and the overlap). 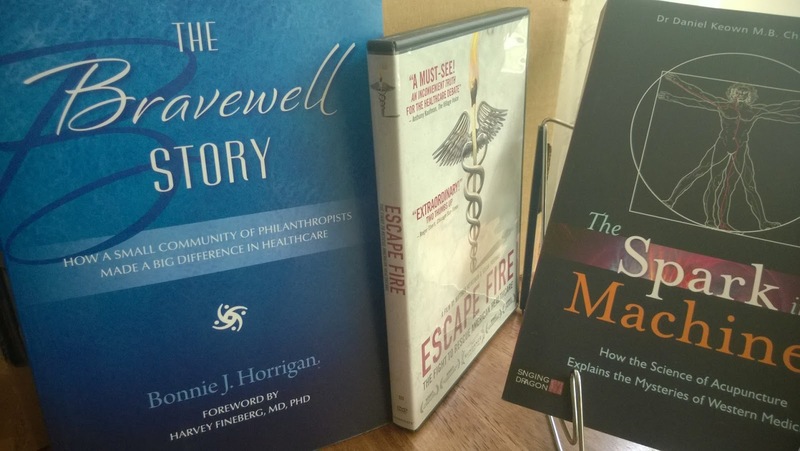 Online courses and in-person CEU events and the occasional free webinar. This was formerly called Pro-d Seminars. Oprah's SuperSoul Sunday podcast--the focus is on interviews with people who have written a book and experienced or led a major spiritual or health & spiritual shift. Only a few are healthcare professionals like Deepak Chopra. Pick the ones that draw you in. What are your favorite health-related resources for listening to? Want to see more? 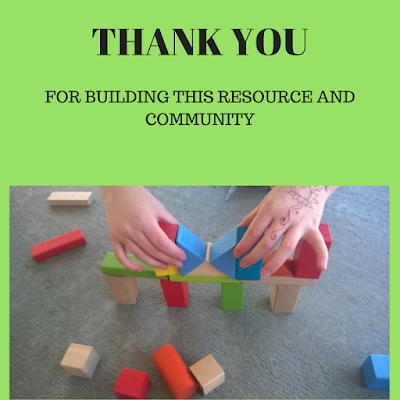 This resource is put together by volunteers and we welcome contributions and sponsorships of all amounts through our website to help maintain and grow this resource. You can support via a cup of coffee or sponsoring a Project and share this resource with your colleagues. at Madigan Army Medical Center. For new hospital employees, while your paperwork is being processed and you are in that limbo zone where you are hired but can’t treat patients until all the boxes are checked, this is the ideal time to shadow everyone in the department you work in. Everyone. Because, once you start treating patients, getting time for this is next to impossible. Shadowing everyone in your department, whether it is a couple hours or a whole day, gets you the best insight into what your colleagues are doing. Shadowing everyone in your department gets you the best insight into what your colleagues are doing and how your clinic functions. From this information, you will be able to better understand how your skills are a best fit, not just for the clinic's mission, but for your specific team. This helps you better understand where your skills will best mesh with theirs and gives you more common ground and experience to draw from when making inter-departmental recommendations or learning how all the pieces of the engine fit and work together. This understanding, no matter how rudimentary (since you are still a new employee) is invaluable and this shadowing opportunity, unfortunately, is nearly impossible time-wise once you are treating a full schedule of patients. Shadowing your clinic team helps you learn how all the pieces of the engine fit and work together. 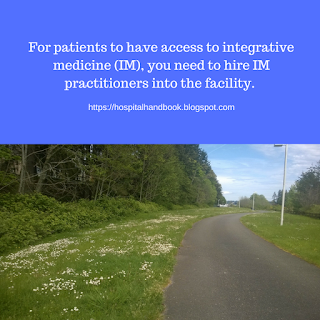 For example, at the IPMC, I shadowed the clinical pharmacist, the pain physician, the chiropractor, the physical therapist, the occupational therapist, the health psychologist, the yoga therapist, and the supply sergeant. 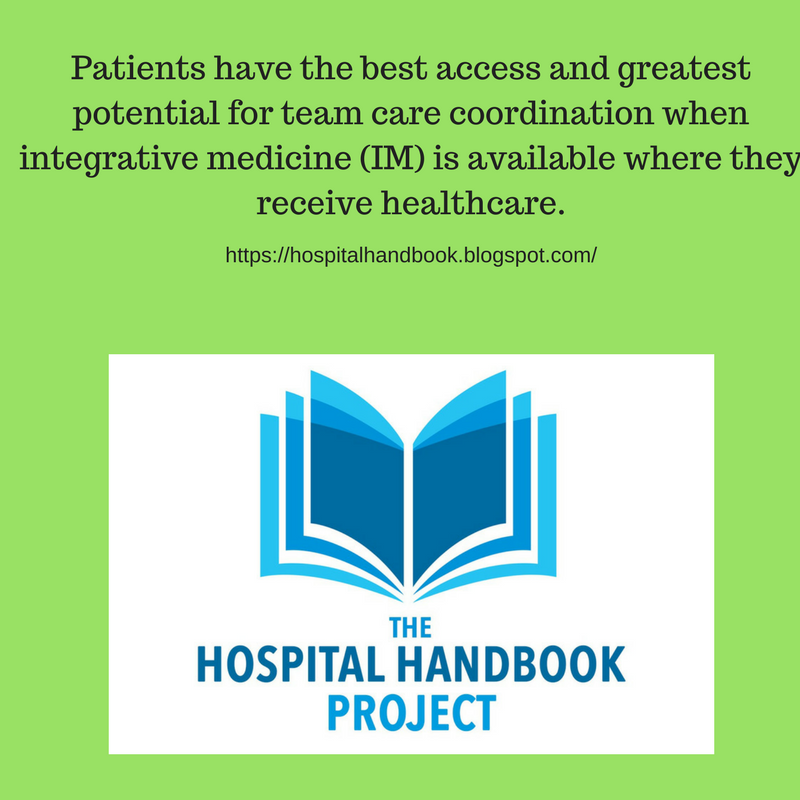 This experience helped me understand the framework of the referral system both within the outpatient clinic I worked in and the pre-program prep the patients went through before entering the full interdisciplinary therapy program. 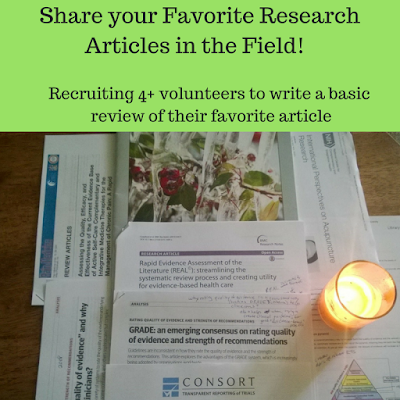 It helped me see how what I was doing was synergizing with the other practitioners’ work. This, combined with the occasional lunch chat, helped me better understand not just the unique discipline of each of my colleagues, but the way he or she specifically practiced it. 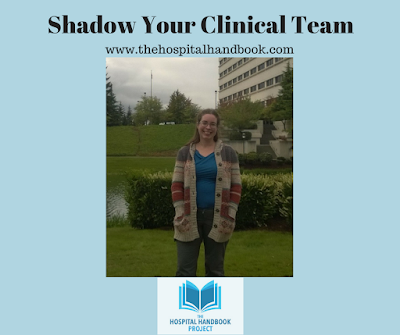 Shadowing helped me see how my skill set could best synergize with the specific skill sets of my clinic team members. This helped us all worked better as a team. And, when practitioners do good team work, the following benefit: patients and their families, practitioners on the team, and the department administration (scheduling, positive outcome measures, through-put, happy patients and families). 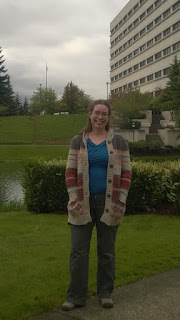 Stay tuned for the next post, Shadowing Physicians. "how great teams put out great work, consistently." Gift ideas for the provider starting hospital practice--includes community favorites, RFID-blocking wallet options for your ID card and YETI mugs. The public Facebook page is currently running a theme, "Leadership Mondays" with resources for working as a team member as well as leading an integrative health/integrative medicine team/clinic. Check out our new Metrics short course on how to successfully use and chart a pain scale in your patient-centered clinical work. If you are interested in following this work, please subscribe to the email newsletter and the public Facebook page. Patient Privacy Laws = laws that protect patient privacy. There is U.S. federal law and then, usually, more specific or detailed laws at the state level that add on to the federal law. HIPAA = U.S. federal law on health information privacy, accountability, and accessibility. It is the Health Insurance Portability and Accountability Act (HIPAA). For more information, go to this post. Minimum Necessary = Usually refers to the "minimum necessary standard", a standard within the HIPAA Law. Refers to restricting communication about PHI to the minimum need-to-know elements. Shadowing is the unique and very old tradition of, with pre-approval, quietly observing a professional working a typical shift/day. In this case, shadowing is clinical observation of a health care professional. Shadowing is usually short-term and not the same as an internship. So, you have connected with your hospital-practice mentors and other hospital-practice providers you are interested in following through a full or partial typical clinic day. And, you have set a date and time to shadow this provider. First, have very clear permission from the practitioner to do this. Dress professionally for your shadow. To review, basic professional dress for this situation is: dress pants and dress shirt, closed-toed shoes, hair pulled away from your face, and no strong smells that may trigger patient allergies (perfume, cologne, essential oils, some shampoos, lotions, and food odors). Privacy paperwork will include HIPAA compliance paperwork. Bring a print book to read. Bring a blank notebook and pen. Then, follow closely (shadow) your practitioner. They are responsible for you and your behavior. Be polite and respectful. Do not ask questions in front of patients. Do ask questions in the appropriate space, like in the provider's office, outside of the provider-patient direct interaction. ¹If you shadow in a federal facility located on a base, an entirely separate set of rules applies. 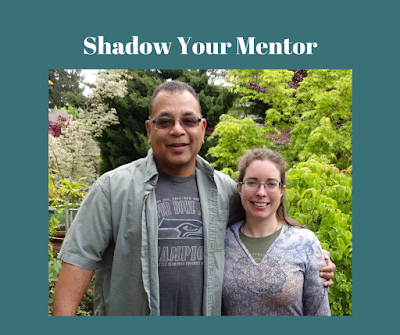 Discuss with your mentor-shadow how to have access/permission to enter the base as well as permission to shadow. Bring a book to read in case your shadow-day involves more waiting than shadowing. It is likely you will need to leave your smart phone/cell phone in your car or locker, so don't depend on having it available for any down-time. 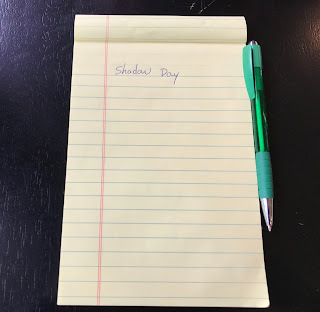 Bring a blank notebook on your shadow day. You can bring a notebook to take notes for yourself, but you cannot write anything in it that falls under the privacy laws like protected health information (PHI). At the end of your shadow time, double-check that you have no PHI in your notebook. If you do, just inform your practitioner and ask where the nearest office shredder or burn bag is for those items. Do not take such notes home with you—that would be a Privacy Law (likely also HIPAA) violation and you or your shadowed practitioner could be fined. Violations of Privacy Law carry hefty fines. The Waiting Place: When the Patient Says "No"
The provider you are shadowing is required to introduce you to each patient and request patient permission/consent for you to observe. Sometimes the patient will say "no" to you entering the room and you will not be allowed to observe that patient-provider interaction. Sometimes an office situation will come up that is private or confidential and you don't need to know. In that case, the provider may tell you to wait outside the room or in the provider's office. While you are waiting, review your notes or read that book or research paper or the latest issue of Meridians you brought along. After shadowing, write your provider a thank you note. Repeat the shadow (clinical observation) process regularly. I recommend shadowing any practitioner whose work you are interested in. 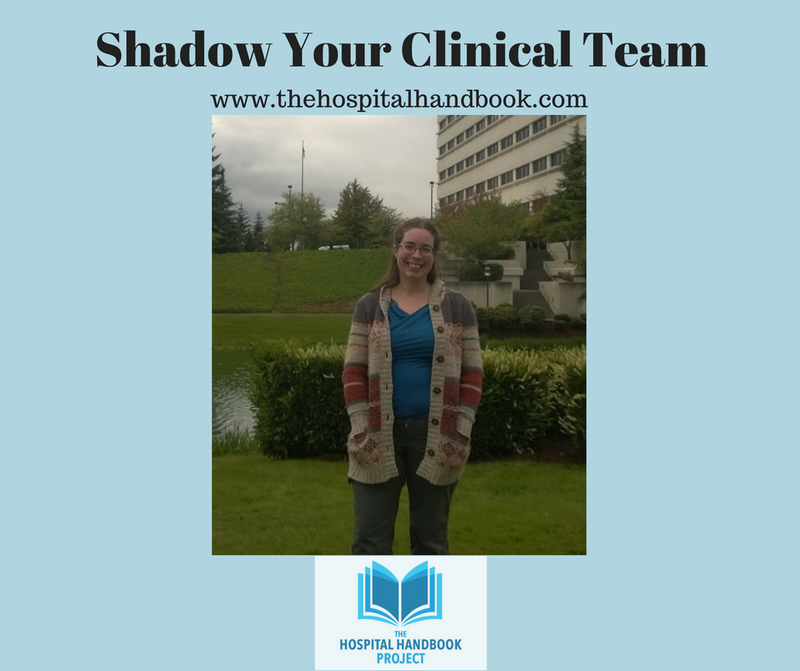 Stay tuned for the next post, As a New Employee, Shadow Your Team Before You Start Clinical Work. 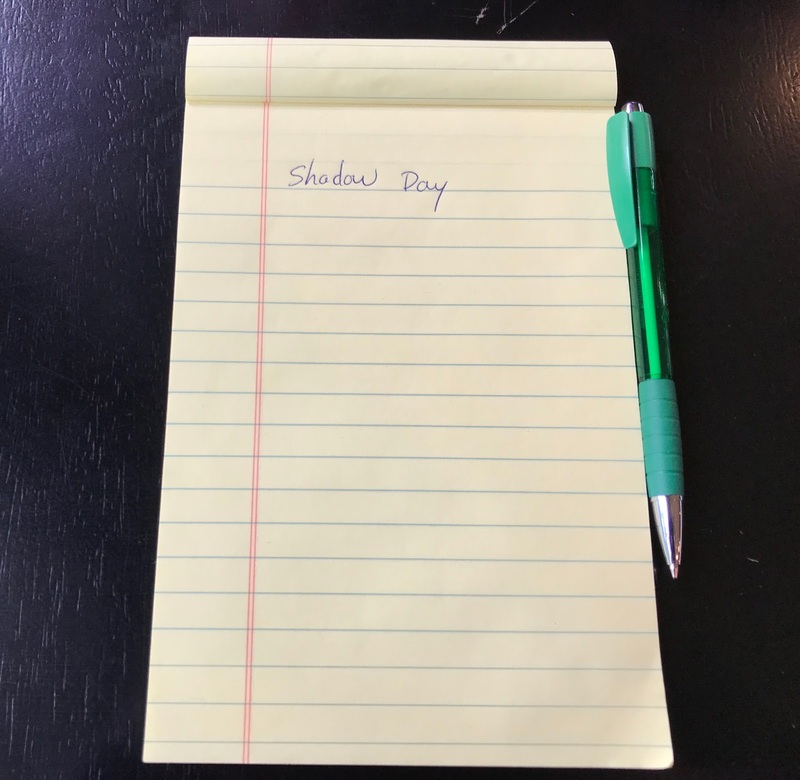 Need some reading material to help pass the waiting time on your shadow day? of their papers to read on your shadow day. Review HIPAA, and what is defined as "protected health information (PHI)"